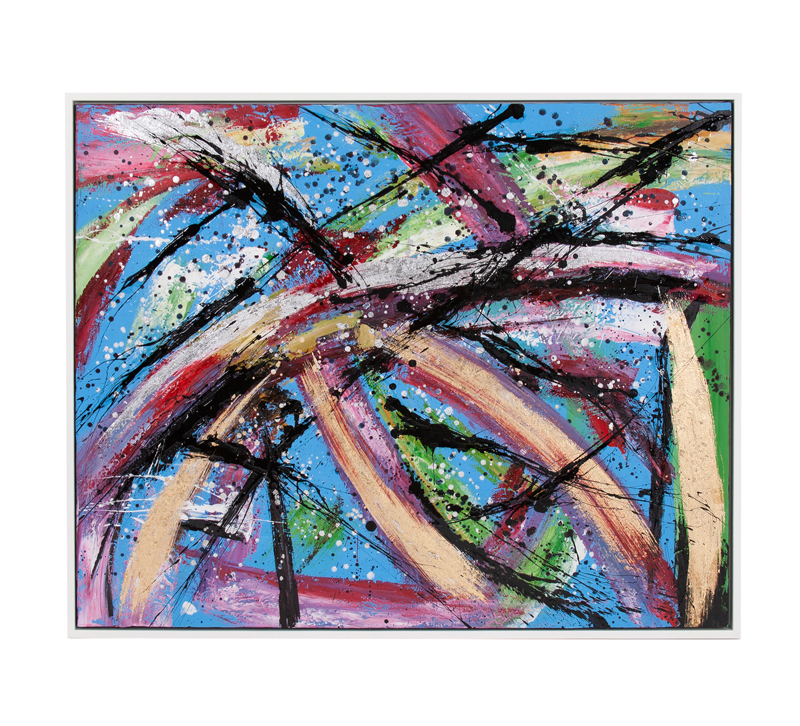 A celebration of color, the Fiesta canvas wall art from Howard Elliott mimics the look of graffiti on a stone wall. Canvas is set in a cream wood floating frame. D-rings are affixed to the back of the frame so it is ready immediately. Measures 50 by 40 inches.